This is interesting reasoning and it actually makes a great deal of logical sense given the premise of the film. 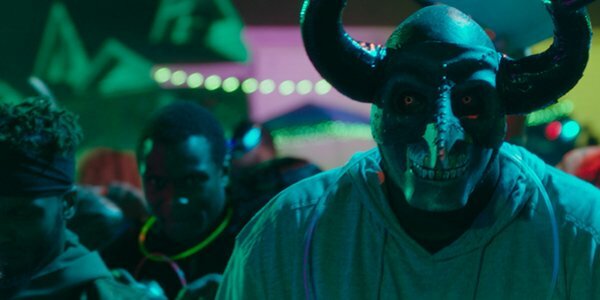 The First Purge is a prequel film and the first instance in the film’s internal universe where the annual murder-fest takes place. There isn’t a precedent for this event, and thus all of the characters in the film are experiencing the Purge for the first time. There is a newness to it, and with no game tape of previous years to watch, strategies to study up on or really any knowledge at all as to how crazy this can get and how to get through it, all of these characters are breaking new ground with fear, excitement and curiosity. By not watching the previous films before filming, as Rotimi Paul told Pop-Culturist, he took a method approach to experience the Purge for the first time just like his character. It would be difficult to be completely ignorant of The Purge given how much the premise has become a part of the pop culture lexicon. Still, even though Rotimi Paul knew the premise and the broad strokes of the franchise, by not watching any of the previous films, he didn’t know how the characters in the other entries acted in these situations. So without any preconceived notions, he allowed his performance to be governed by the director and the script. Rotimi Paul’s Skeletor plays a big role in The First Purge too, so it’s kind of cool that he took this approach. Rotimi Paul also discussed which of the films are his favorite. He cited the one he’s in as the best (smart) and chose The Purge: Anarchy as his favorite of the first three, which I believe is many fans’ favorite as well. The First Purge debuted to mixed reviews and a lower box office than its predecessors, earning $ 17.1 million over the weekend and $ 31 million over its first five days in release. The American tradition of the Purge isn’t going away either. The Purge TV series is coming to USA in September and just premiered its first trailer.